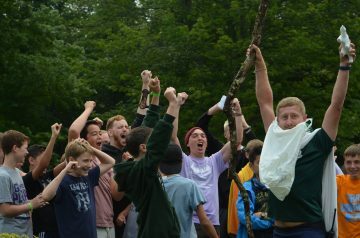 As you can see from this counselor video experience, any day at camp is far from typical! 7:15am (optional) Polar Bear Club at the Pool followed by Hot Chocolate!
. Campers choose a special activity that they focus on during the entire 2-week session. Activities include (but not limited to) juggling football sketching media swim stroke running stable management and more! As well as the typical camp day, we have many exciting events that are far from typical! We start with our opening campfire on the first night of a session. Campers also enjoy a visit from a Falconer and unique evening activities with their cabin and division. 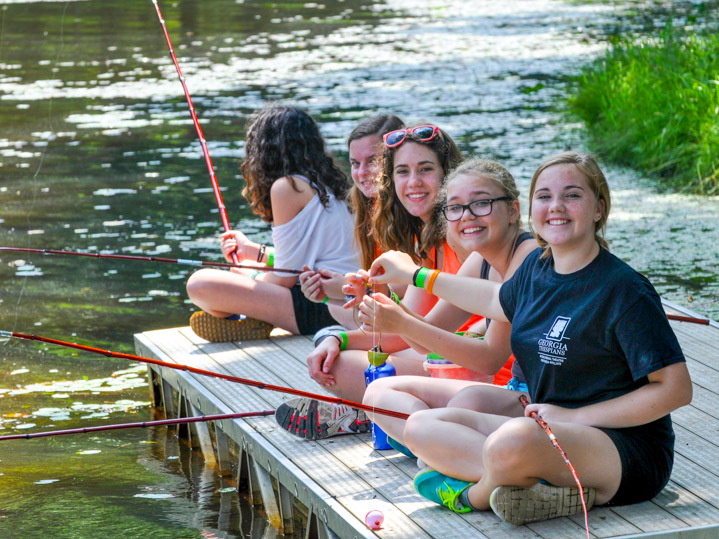 We offer a fly-fishing clinic in each session and older campers can mountain bike off-camp or even whitewater raft! Toward the end of the session we all enjoy a Camper Talent Show in the Theater and also our phenomenal 24-hour Olympics. These special events comprise an amazing, fun packed 2-week adventure and experience!